Let me know if anyone cannot see this tweet. Freak, now I can't see any tweets on any of my devices. Woe is me! If I quote a post with a tweet, I can see the tweet id but it is not clickable. This is what I see when I quote a post with an embedded tweet. I don't see anything related to the tweet unless I quote the post. I know you're very busy today, so don't sweat it. I just thought you would want the feedback. Samsung s3 using the native browser. Also laptop W10/firefox. I don't have an S3, but I just installed firefox on a Windows 10 machine and I can see the tweets fine. Do you have any type of blocker or antivirus that might be causing the issue? I just disabled my ad blocker and rebooted. Still can't see any tweets. Hmmm. There has to be something were myssing since it works for me on Firefox. Do me a favor. Log out. Clear your browser cache and try agin. Just a thought. As I said earlier, I turned off my AdBlock and pop-up blocker in Firefox. 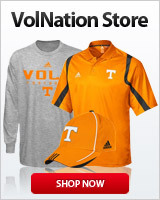 Maybe worth noting, I still don't see any ads or pop-ups on VN except one for the "VolNation Store". You've definitely got some blocking going on then. Doesn't explain the phone though. I'm waiting to see if any others are having issues so we might be able to get more information. OK. I'll try to find out what additional blocking I've got going. Note that until the change you made yesterday (or was it today?) that I could see the embedded tweets, they just suffered the double address syndrome. Then you made a post with the new-just-the-ID-post and that worked great. Then I saw that you asked folks to use the new scheme. Now I don't see anything at all. Freak, I found the problem. In Firefox, in the Options/Privacy and Security tab, if you set the Tracking Protection option to anything but Never provide any tracking protection, then the Embedded Tweets are blocked/can't be seen. Not sure why it is necessary to turn off one's Tracking Protection to view tweets in an online forum, but that seems to be the case. Any chance of changing that? Still can't see them here. A lot of the old ones have disappeared, as well. Looks like a find/replace may have been executed on the text that was there. Tried that, links appear, but tweets are not embedded for me. Not willing to disable that, though. Seems easy enough to also post a clickable hyperlink, so folks having trouble can see something, click it, to have tweet open in an additional tab. It must be something on the twitter end. Im just using their embed code. I will definitely go back and add a clickable hyperlink. Looking forward to it. Still getting nothing. Can you see the hyperlink now? Tell me again what device and browser you are using? Still trying to track down the issue that a few of you seem to be having. I know a couple of them seem to be specific to Firefox. Freak, I am using a laptop with W10 and the latest Firefox. I can now see the twitter links even though I have the Privacy Tracking option in Firefox turned on. So it looks like you fixed the problem, at least for me.